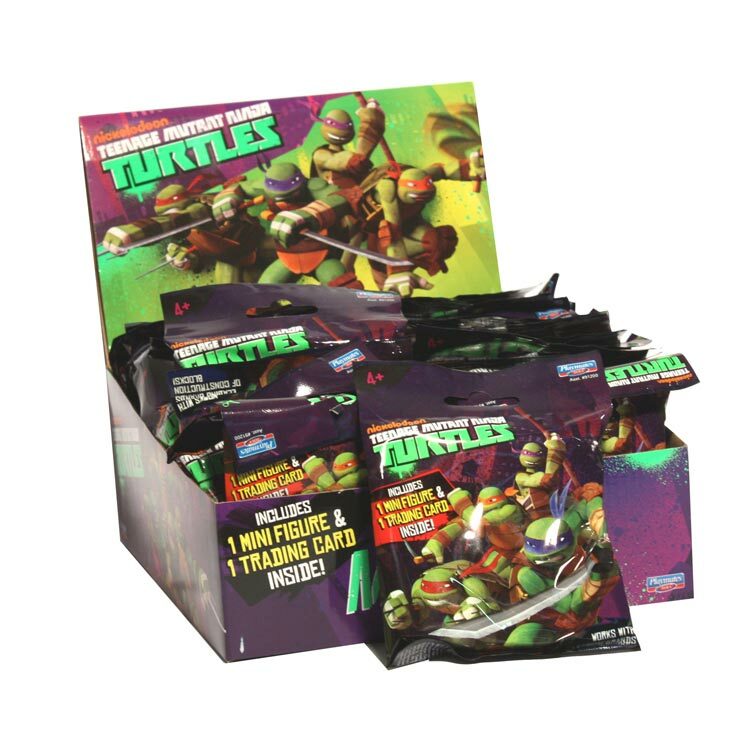 –>> This 4-pack is available for free at TOYS ‘R’ US with the purchase of ACTIVISION’S “Nickelodeon TEENAGE MUTANT NINJA TURTLES – The Video Game”. 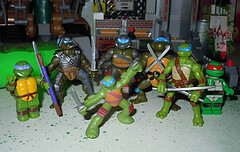 Yes, you CAN purchase the set WITHOUT buying the video game for the SRP of $9.99. 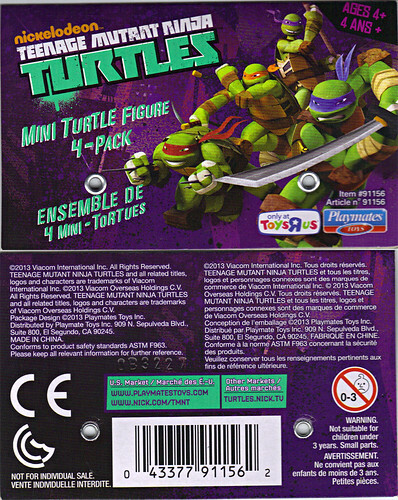 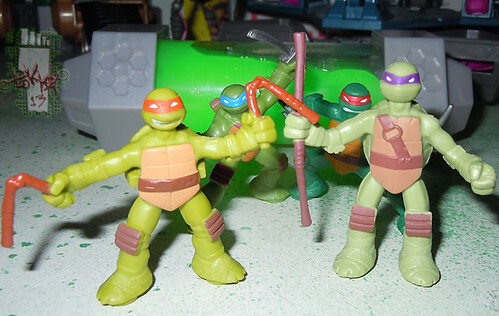 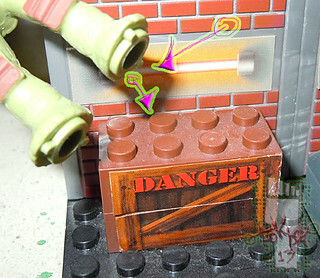 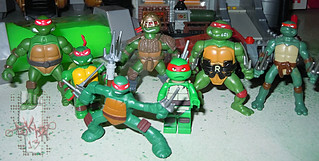 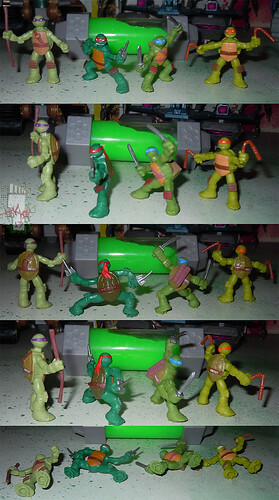 These are the first North American release of the same “LEGO & brick toy COMPATIBLE” figures sold in the TMNT 2″ Mini-Fig blind Bags overseas in such places like Australia – but this four pack DOES NOT include the collector cards that come with the bags. 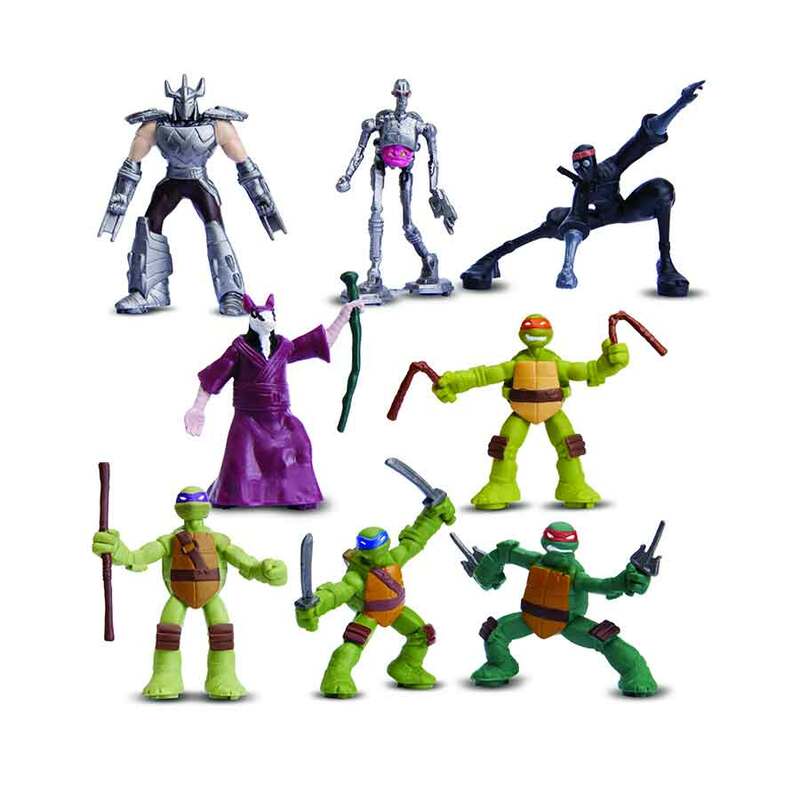 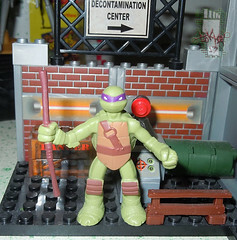 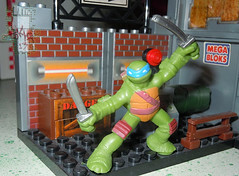 The Shredder mini-fig is available at TRU as well as an exclusive with the purchase of ** The Nick TMNT “THE ULTIMATE SHOWDOWN” DVD set. 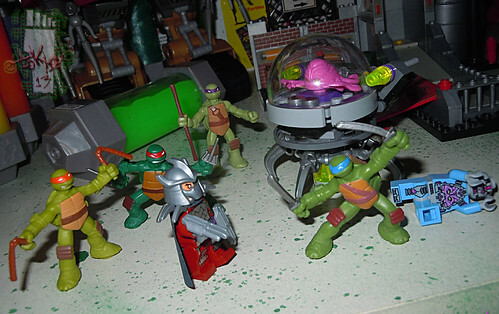 The figures with the cards, Splinter, Kraang Droid, and the Foot Soldier mini figs are not available yet in North America just short of purchasing directly from overseas or thru’ a third party vendor. 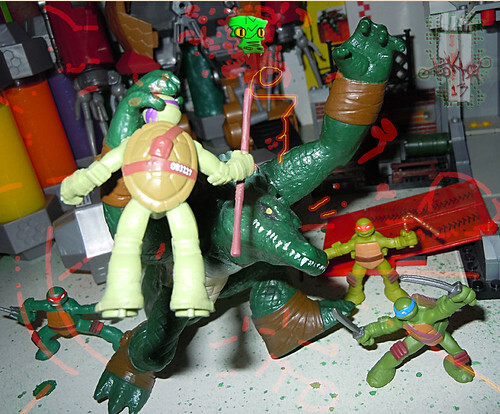 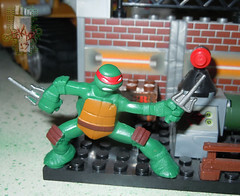 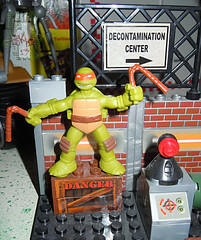 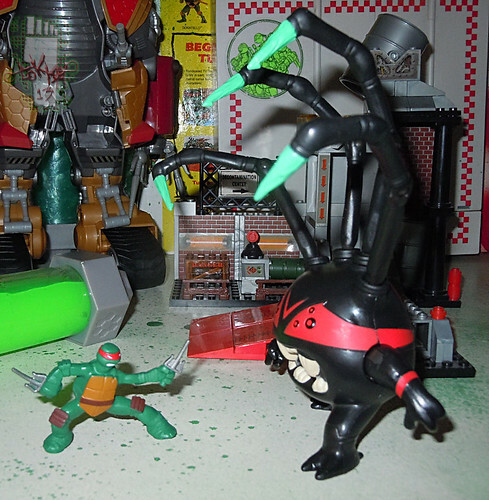 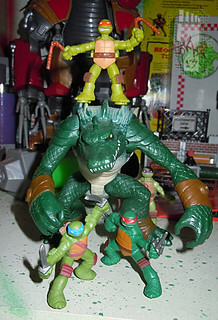 Dogpound & Fishface mini-figs were spied at TOY FAIR 2013 as part of an apparent wave 2. 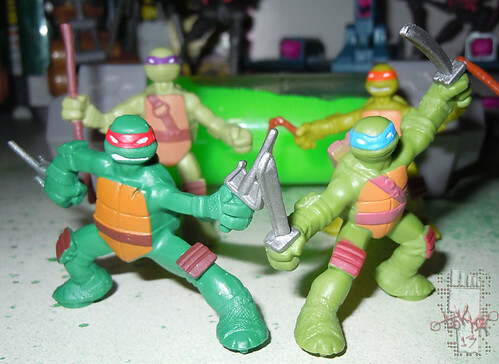 If you are not so much worried about the collector cards, and just want the figures of the Teens themselves without the guessing, stress and spending lots of money on the blind bags, this may be your best & direct way to get these minis. 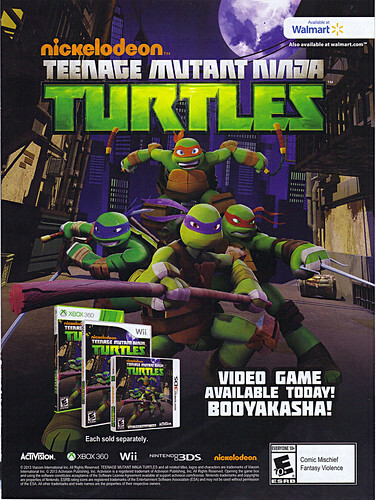 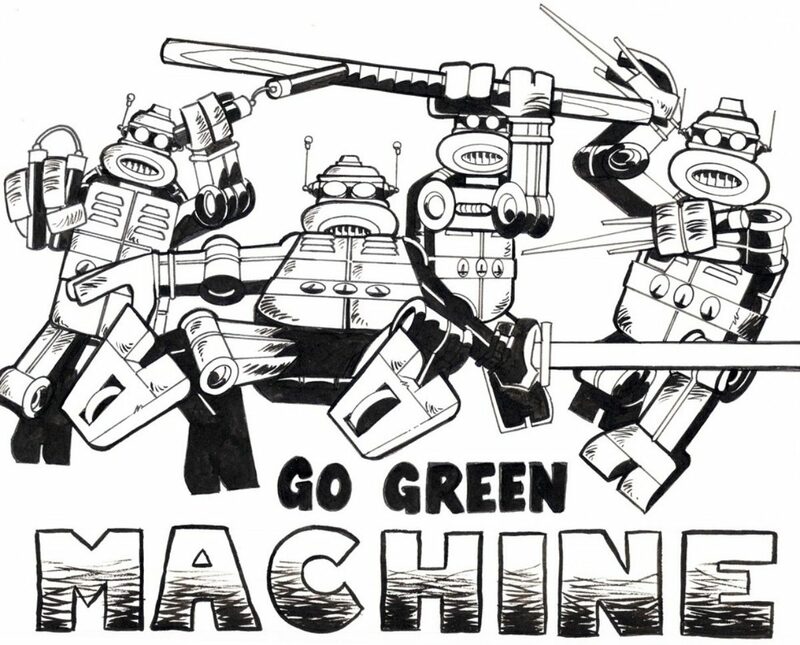 And if you get them with the video game, you’ll prolly be saving even more money.